Lots of fun to be had with liquid Nitrogen. A Dewar (like a big double walled thermos) containing 3 litres was hired for a weekend from a local gas supplier (BOC gases in Australia). Dewar hire was AUD$100 for a weekend and 3 litres about $12. It is not meant to be transported in an enclosed vehicle in case of accident so I use my trailer. I also have an account there for other reasons and didn't say I wanted it for crazy experiments. Left photo shows the Dewar with the cap. Note that this allows the gas to escape and is not a tight seal otherwise the thing will explode! The meter has a thermocouple but is way out of rated range although is reading -129 C. Liquid nitrogen (LN2) is at -196 C. The right photo shows a small balsa boat floating in the LN2. Left and centre photos show the classic rose-in-Liquid N2 which causes it to become so brittle and glass-like that if thrown to the ground, it will shatter. The right photo shows the brittle petals snapping off spontaneously. Lots of other things can be made had or brittle things with zany results. Eg freeze an egg, peel it and let it warm. Or, use a banana to hammer in a nail. I'm not sure I should show this photo but here is me (carefully) throwing all the safety precautions to the wind and putting my hand in liquid N2 (for about 0.5 secs). The gas generation keeps a gas layer between you and the liquid and reduces the rate of freezing. Sensation is like a cold breeze and no discomfort but I am not pushing the boundaries here. Of course touching a solid, particularly metal, at liquid N2 temperature will give rapid severe frostbite and it might stick to you. To treat warts and other skin lesions it is applied with a cotton bud and will rapidly kill tissue. 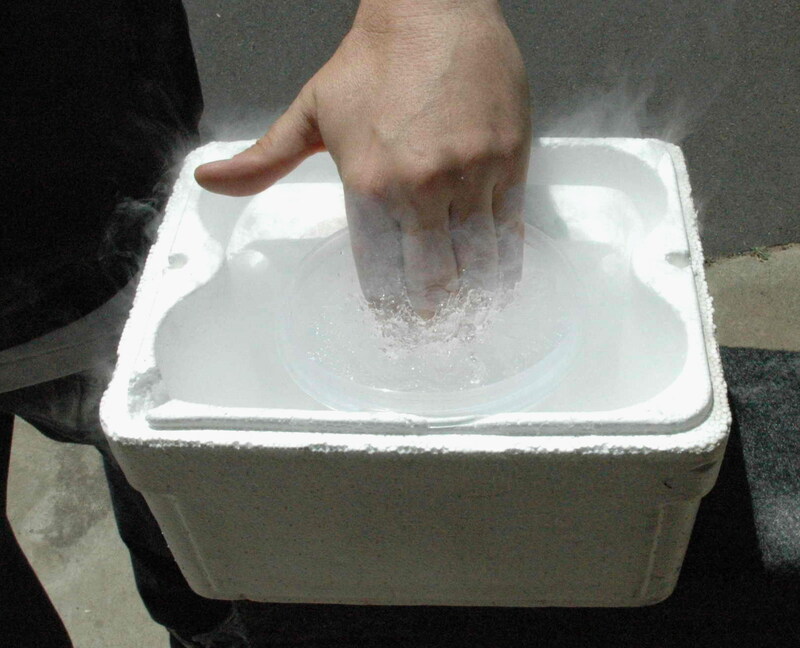 Advice from the 'experts' for this somewhat risky stunt say not to get the liquid N2 in any crevices in your fingers or clothes as the liquid N2 gets forced in contact and freezing occurs. None of the family have had any frostbite incidents as we (almost always except for photos) used gloves and always used eye protection. My youngest son was using a cycling glove and got a little in though the looser weave at the back I think but no real problems. After that we stuck to the fully sealed chemical handling gloves. Here is a banana hammer. The banana becomes extremely hard and brittle such that hammering a nail in is easy. 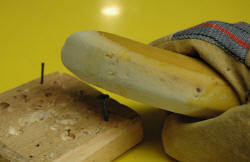 Even worked for quite a heavy galvanised nail until the banana hammer handle broke. 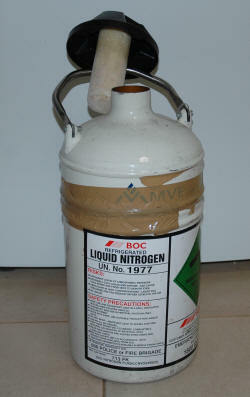 Above is a liquid nitrogen popper. 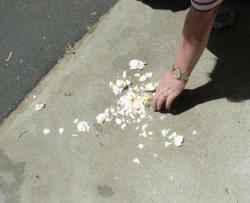 Put some in a plastic film canister and close the lid. Liquid nitrogen in a plastic drink container filmed from some distance. It took about 2 minutes for this to explode but it has taken over 5 minutes. You can judge the loudness from the echo. The sharp plastic shards were only a few cm long and went a long way. It is very dangerous to approach an unexploded container. If nothing happens for over 10 minutes, throw a blanket over it might be the safest then hit it with a long stick with body/eye/ear protection. Left photo shows what happens If you pour liquid N2 down a PVC tube to constrain it in the pool, then cover the top... It all blows out the bottom. 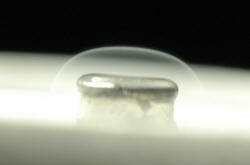 The right photo shows a plastic cap placed over a blob of floating liquid N2. As the gas is produced, it 'burps' a bubble which has fog in it. This happens repeatedly. The bubble bursts after a second or so. Kind of strange. 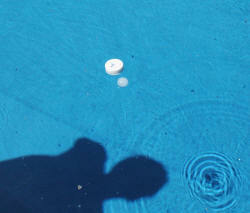 The pool ripples are seen on the bottom indicating movement. 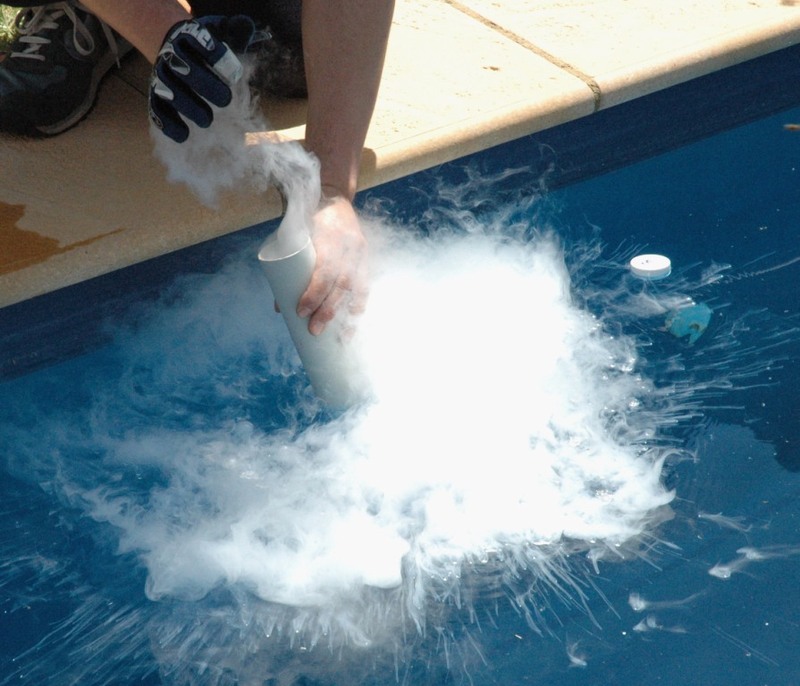 Enough liquid N2 will cause an iceberg to form, particularly if it is constrained by a floating polystryrene ring. 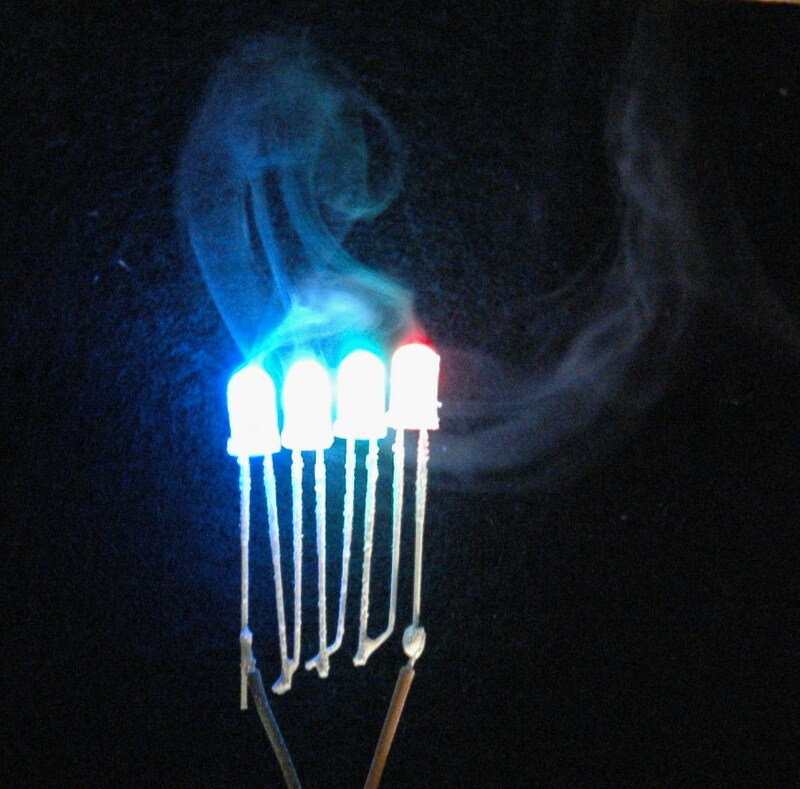 Left photo shows some LED's appearing to smoke. Actually the picture is upside down and the 'smoke' is just a condensation trail. You can just see the frosting on the LED's. The right photo shows a variable capacitor with air spacing after removal from the liquid N2 when water vapour frosts on it. 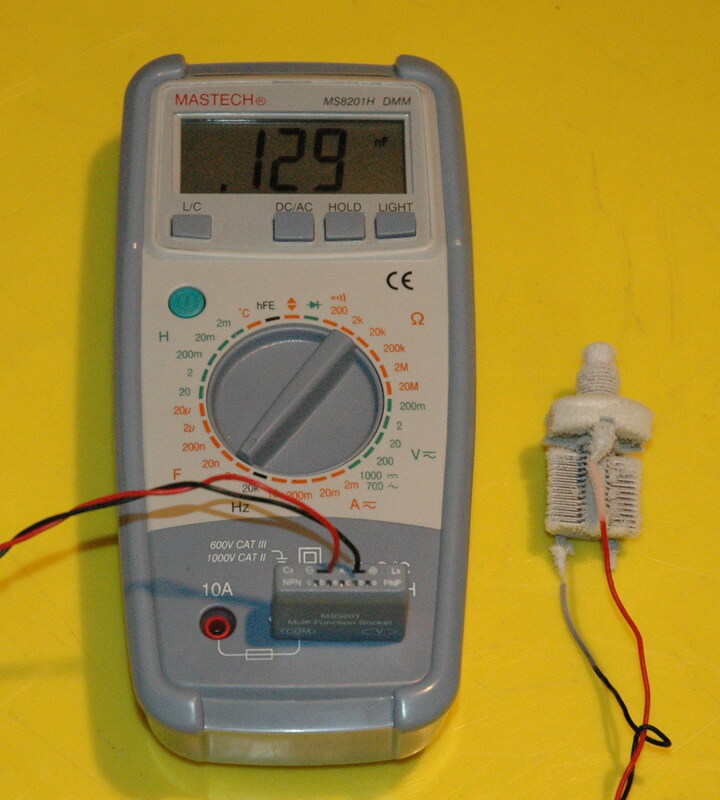 Here is a list of things I measured at room temp (24C) and at LN2 temp. Resistance of copper (trigger transformer). 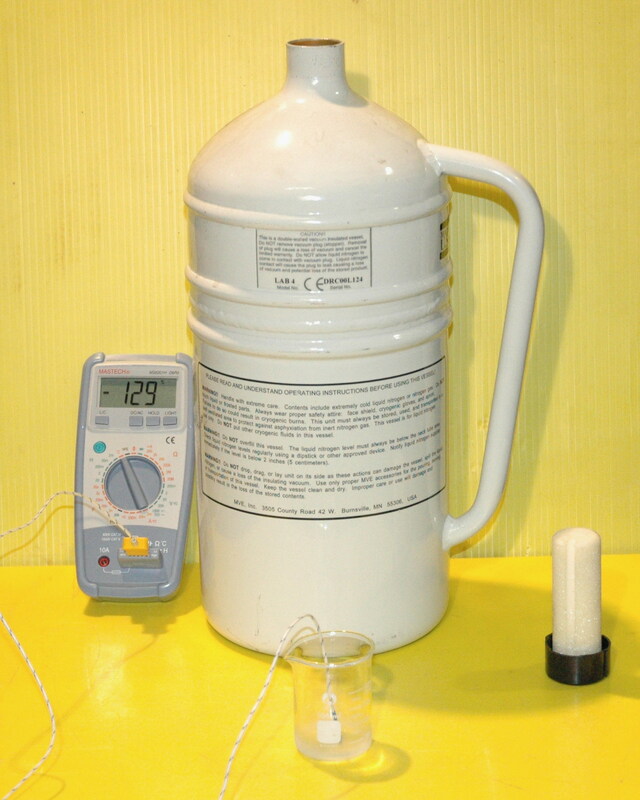 Room 37 ohm, LN2 4.6 ohm i.e. decrease of 89 %. Most but not all of the effect is lost as soon as the LN2 is shaken out of the plates. - Liquid N2 in a microwave. The microwaves are absorbed by water. (It is not true that it resonates at a particular frequency to excite water molecules - that frequency is considerably higher than 2.4 GHz). It does not seem to affect liquid N2 which should continue to boil away as normal. I also had a glass of water in there as a load. - Model boat using N2 rocket principle. My very shoddy efforts were in vain using a syringe, tubing and needle. It is very hard to pour cold liquid N2 in to a warm place as it outgases vigorously. Also seals change size and leak or jam. - Steam car. My model steam car didn't generate enough power to run on sunlight alone. Replacing the water with LN2 will make it fly. The problem is the metal tank needs to be completely cooled first otherwise it bubbles too quickly and it is hard to even pour stuff in.. The pressure popoff valve may not be adequate. With some design work it shouldn't be too hard. - I did try to make a cloud chamber by putting an Americium source in the the neck of the N2 dewar where the cloud is normally very still. I lit the area near the emitter with a green laser but didn't see any tracks. 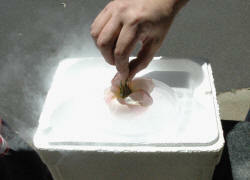 The heat of the source makes the cloud turbulent anyway. 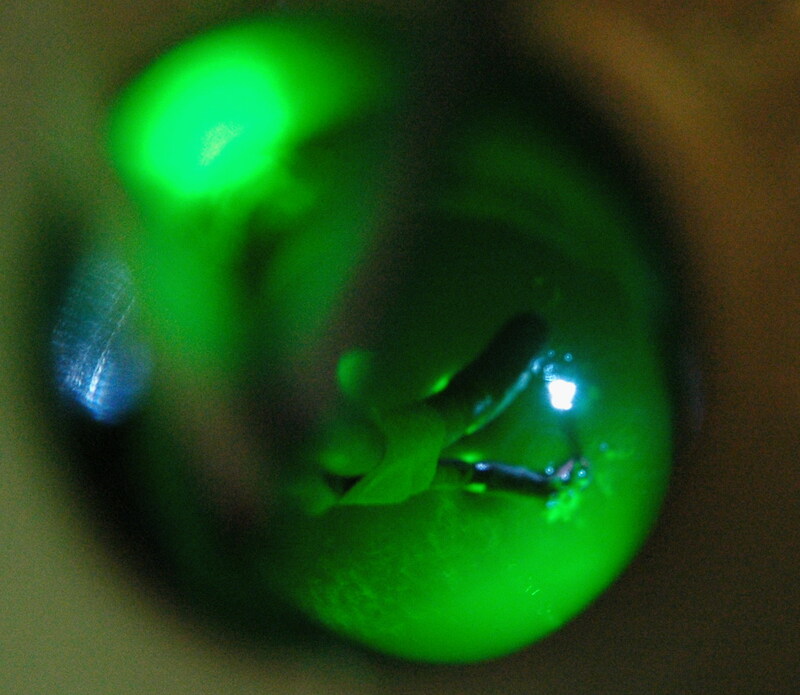 This photo shows a spark UNDER LN2 with a 1 mm gap. It would spark about as readily as 20 mm in free air. The green is laser illumination for a narrow light source to go down the neck of the Dewar flask. 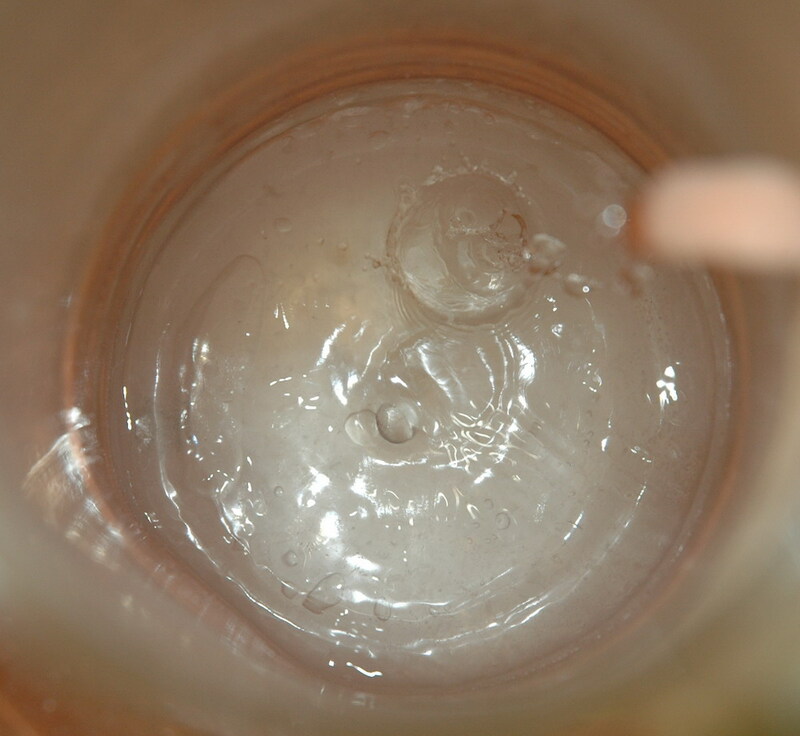 You can see some bubbling present and ripples on the surface. HV supply was my Candy box HV. This photo shows a 256 Hz tuning fork which is measured at 256.2 Hz at room temperature. It is made of a magnetic steel which is chrome or nickel plated and with a small NIB magnet and a pickup coil out of the turntable motor from a microwave oven, gives a nice signal for my counter for about 20 seconds. After immersing in LN2 the frequency increases to 260.6 Hz. This is a change of 1.7% Simple coefficient of expansion of steel would account for shortening of 0.000012/K for steel. Given room temp 24 C and LN2 of -196 C this gives a 220 K range. Hence thermal expansion is .00264. This would on its own change frequency from 256 Hz to 256.67 Hz. Clearly not the full explanation. Perhaps not even any explanation as shortening will be accompanied by increased density which may compensate ? fully. So looking at the bendy-ness of steel. I guess this is Young's modulus and I suspect that this is the parameter that determines the vibration for a given force. The exact value is not important but the change with temperature is. This site gives the modulus for low carbon steel as being 29.5 at 70 F increasing to 31.4 at -325 F (=-198 K). This is a change of 6.4 % which would give a frequency rise to 272.4 Hz. Since the observed frequency rise is only to 260.6 from 256.2 (1.7%) and interpolating, this suggests that the temperature of the fork at the time has risen to -34 C.
There are many assumptions, particularly about the steel type. Perhaps my logic is way off. Nevertheless the results are plausible. 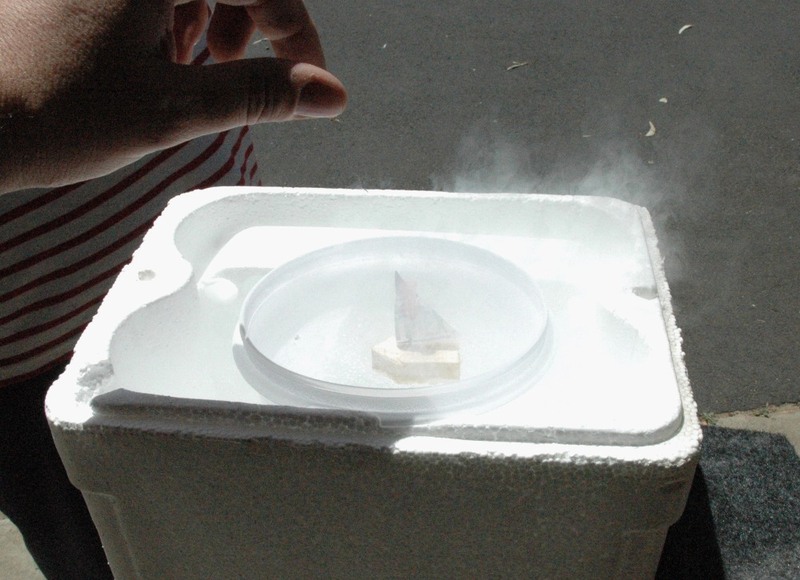 Using Google to look up tuning fork and liquid nitrogen reveals many poorly documented brief physics demonstrations. The only one that gave figures was my own site here! 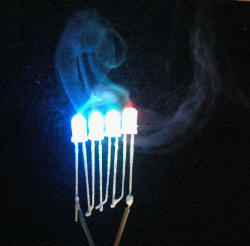 I have also been able to generate electricity from LN2 with Peltier experiments. I have frozen some ferrofluid and cut it in half with a saw. I made about 50 ml of liquid oxygen by passing medical grade oxygen through a condensor in a dewar of LN2. I made it out of copper tubing which then dripped and sputtered into the container with a gas flow rate of about 1-3 l/min. The LOX container is kept in the bath of LN2 to stop it bubbling away. Nitrogen turns liquid at -196 C and hence can turn oxygen liquid as it has a higher temperature of -183 C.
Above left photo shows the LN2 dewar for transport from the gas company. It has a soft sponge plug which is loose and the cap sits on top. 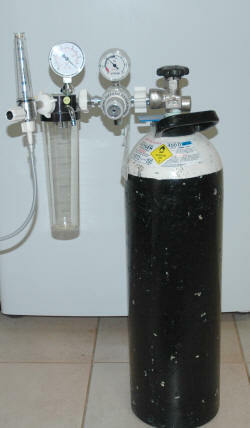 Center photo shows the medical oxygen cylinder with the gauge on the left reading 3 litres per minute. Right photo shows my own dewar out of its protective box. 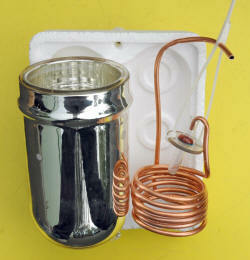 Next to it is the copper coil condensor which fits inside it. 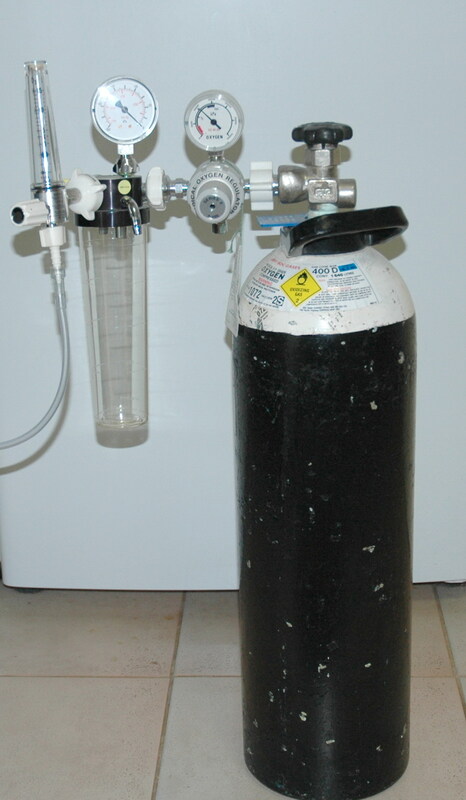 Oxygen gas intake is at the top and the lower end drains the liquid oxygen into the test tube. This test tube sits in the pool of LN2 to keep it cold. Above left photo shows a view down into the dewar. The copper coil is around a larger collecting container and the oxygen outlet is the blurred tube at top right which is splashing LOX into the container. The right photo shows the blue tinge of LOX against white paper. 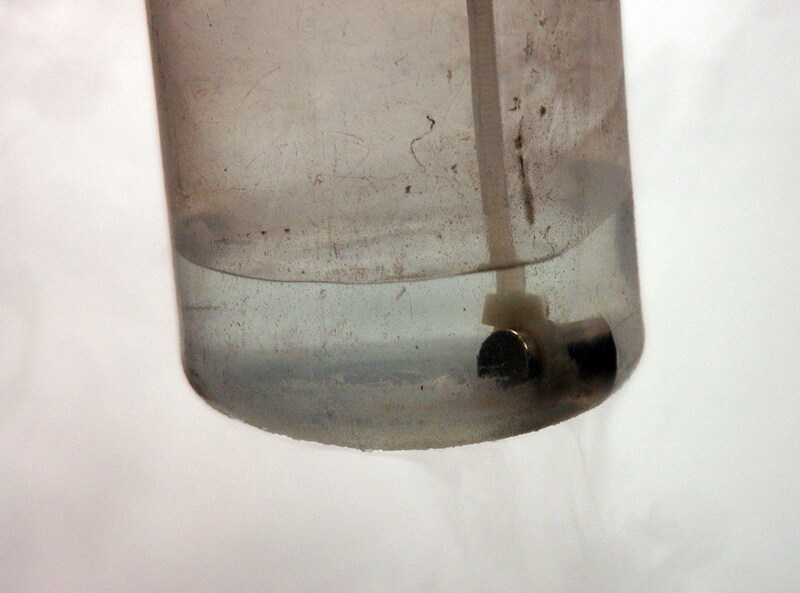 By contrast, LN2 is colourless. 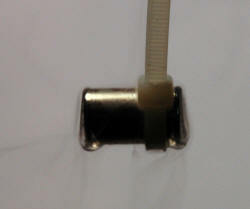 There is a magnet suspended in it keeping cold. The container was just out in the air for a moment but frosting starts within seconds. I have been able to confirm that LOX will adhere to a magnet due to its paramagnetic properties. The close up photos above left and center show a small NIB magnet with a crown of LOX over the top giving the muffin like appearance to the NIB. The center photo also shows the blanket of cold oxygen above it from the boiling LOX which in still air was very clearly defined. The setup was on an upside down styrofoam cup as a very shallow insulating dish. The right photo shows how LOX remains on the ends of a magnet where the field is strongest. 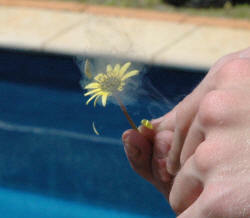 This does not happen with liquid nitrogen. One can run a droplet of water on a hot ratcheted surface uphill. This is something I want to try with LN2 as well. Running a Stirling engine on LN2 would be interesting. 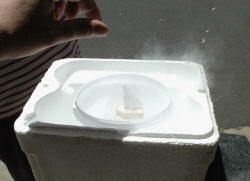 I would like to get a superconductor for levitation experiments as well.